Thursday, April 25. Doors open at 6:30 so come then for community and group exhibits. Talk begins at 7:00. Andy Yencha from Penn State Extension speaker’s bureau in Cumberland County will speak on “Greening you Lawn, Naturally” and Dr. John Jackson, entomologist, will speak on “Bugs and Weeds Away–the Natural Way.” Q&A follows. Business and Public Management Center, 50 Sharpless St., West Chester 19382. Park across the street in the Sharpless Parking Garage. Two related topics: non-toxic ways to grow great lawns and vegetables and to keep weeds out of sidewalks. A green double-header presented by the West Chester Green Team, which includes 4CP, Ready for 100, Plastic-Free Please, and Don’t Spray Me! This is the first in the Green Team’s hot button environmental series, addressing issues at the forefront of people’s thinking at this time in our history. According to the suit — which names three consumers as plaintiffs seeking unspecified monetary damages and class action status — Roundup’s active ingredient glyphosate attacks an enzyme also found in the beneficial intestinal bacteria of humans and some animals. West Goshen Township has added a new weapon in its arsenal against ice: beet juice. Dry salt is effective at lowering the melting temperature of ice to about 15 degrees Fahrenheit—that is, it will melt ice at temperatures of 15 degrees or above. De-sugared beet molasses, when added to dry salt or brine, can melt ice at temperatures as low as -25 degrees, while adding traction, acting as a corrosion inhibitor, and not harming the environment like other brine additives. The beet juice solution is not slippery and doesn’t stain roads or cars. The salt brine and beet juice combination provide optimal results, allowing maximum melting while releasing the least amount of salt onto the roadways. Because the brine solution does not need to be spread as heavily as road salt, trucks do not need to refill as often, meaning additional fuel savings. The elderly are also at risk. A recent study of people living in BC, in Kamloops, Prince George, Courtenay and the Comox Valley, showed that wood stove pollution significantly increased the rate of heart attacks in people over 65. And that nice smell? It comes from benzene, a carcinogen (cancer-causing substance) and acrolein. With the dozens of toxic and carcinogenic chemicals in wood smoke, it’s inconsistent for governments to ban smoking and vaping in public places while ignoring the smoke from wood stoves and fireplaces…. Don’t Spray Me! began three and a half years ago, when several of us circulated a petition calling on the County Health Department to cancel its plan to West Chester’s Marshall Square Park. The claimed justification was, as it still is every time a neighborhood is sprayed, that distributing insecticide through the air was the last resort in protecting the good people in the Marshall Square Park area from West Nile Disease. We pointed out that West Nile Virus is extremely rare in Pennsylvania and that mosquitoes could not possibly be breeding in Marshall Square Park, because. it is on a slope with no stagnant water. But what made the difference was the support of then Mayor Carolyn Comitta, who asked the County to delay spraying, which it did. Then, in early September, the weather shifted and the supposedly dire threat went away. We then took to the social media to promote our view that spraying is damaging to human and environmental health. At early post representing our views was “Mosquito spraying: why doesn’t the county want to talk about it?,” first published in The Times of Chester County, 8/13/15. Our Facebook page has also been very helpful in reaching out to the public. We now have over 550 supporters, about 3/5 of them in West Chester Borough and 2/5 elsewhere in Chester County. Our Board of Directors meets regularly to chart our direction, and we hold many events a year to reach out to the public, about a dozen in 2018. At first, we joined in the West Nile Task Force with The County Health Department and West Chester Borough. That effort essentially ended a year ago, when it became clear that the County would not defer to a municipality’s desire to avoid being sprayed and meetings were no longer convened. We have found it helpful to join forces with like-minded non-profit organizations. We are grateful to Sierra Club for, early on, making Don’t Spray Me! a Conservation Committee of the Southeastern PA Group and also to Sierra Club’s Grassroots Network for a grant that enabled us to hire our 2018 summer intern. 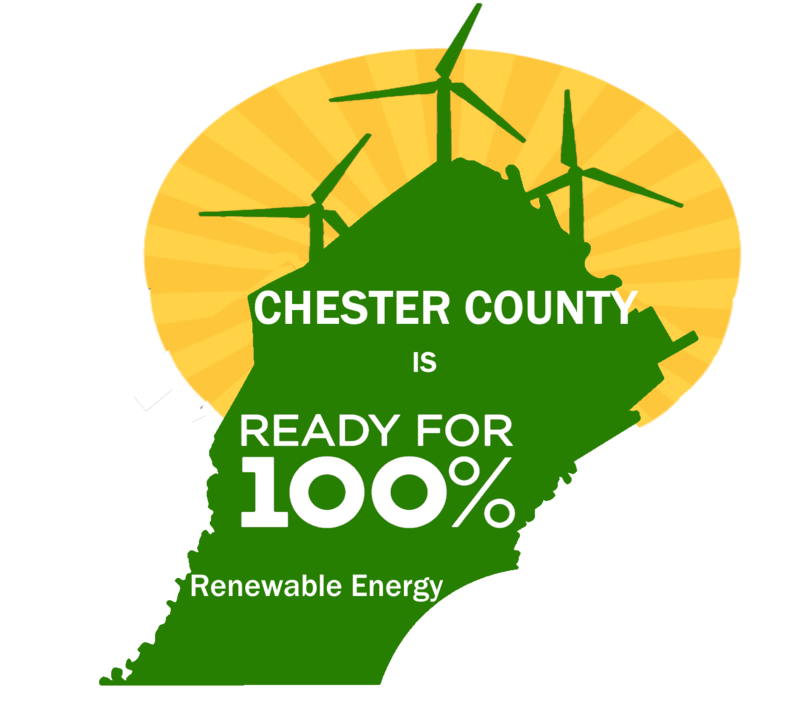 In the last year, we have also teamed up with other organizations within the Chester County Environment Alliance and West Chester Green Team. We believe that banding together with like-minded organizations helps us all to project our respective messages and the overall principle of protecting environmental and human health. In our case, our message has expanded from resisting unnecessary insecticide spraying to educating the public and public officials and employees about the dangers of pesticides, herbicides, and other toxic chemicals that all too often make their way into our lives, homes, gardens, lawns and environment. Next installments in our story: using Pennsylvania’s Right To Know law, what people and municipalities can do, and specifically larviciding to prevent mosquito breeding in standing water. Drinking water — Salt has contaminated groundwater in some areas of the state; 75% of Minnesotans rely on groundwater for drinking water. Excess salt could affect the taste and healthfulness of drinking water. Twenty-seven percent of monitoring wells in the Twin Cities metro area’s shallow aquifers had chloride concentrations that exceeded EPA drinking water guidelines. Thirty percent of Twin Cities wells had chloride concentrations that exceeded the water quality standard. Plants — Road salt splash can kill plants and trees along the roadside; plants that take up salty water through their roots can also suffer. Chloride in streams, lakes, and wetlands harms aquatic vegetation and can change the plant community structure. Soil — Salt-laden soil can lose its ability to retain water and store nutrients and be more prone to erosion and sediment runoff (which also harms water quality). Pets — Salt can sicken pets that consume it, lick it off their paws, or drink salty snow melt/runoff. It can also irritate their paw pads. Wildlife — Some birds, like finches and house sparrows, can die from ingesting deicing salt. Some salt-sensitive species are particularly at risk. Infrastructure — Chloride corrodes road surfaces and bridges and damages reinforcing rods, increasing maintenance and repair costs. The first photo was taken in West Chester, 3/4/19, with excess salt lying at the left side and center of the dry alley, but passing cars have scattered the salt away from the parts of the pavement where it could melt any snow that the tires of cars could actually come in contact with. The darker lines running along the alley are brine, which does not scatter to the edges and middle or into adjoining soil. though it may be worn down and distributed into the air. The second photo shows the same alley the same day. The blue-green spots on the fence contain road salt projected widely and forcibly from the salt-spreading truck;. You can also see salt crystals lying on the ground behind the rose bush and melted spots where they have landed in the snow which have to be removed by hand to prevent the salt from soaking into the ground and killing off the sorts of alleyside plantings that help keep the Borough beautiful. Are you interested in environmental issues? Would you like to learn how citizens can make a change and support grassroots environmental topics with big impact? Would you like hands-on experience as a summer intern to support environmental initiatives? We are looking for a motivated, self-organized individual to support a team of volunteers of Don’t Spray Me! and the West Chester Green Team to make a change for citizens today and generations to come! $11 an hour, part-time, hours and weeks negotiable. Academic credit if intern can arrange it with an appropriate institution and faculty supervisor. Must receive state certification to work with children. Needs background in environment and/or appropriate sciences. Must work well under supervision but also have initiative and the ability to interact successfully with both adults and youths under age 18. • Help lead inspection of storm drains to determine if water is draining properly, measure water temperature, flag or remove blockage of the street level grate. • Conduct experiments to determine effectiveness of larvicide, length of local mosquito life cycle from eggs to adult, the height at which they will breed, whether they are breeding in storm drains, etc. • Possible further projects involving plastics, energy reduction, or climate change, depending on time available and sponsor planning. Email from PennPIRG, 2/25/19. Sign petition to USDA here. We shouldn’t have to worry about probable carcinogens in the food and drink that we buy. The U.S. Department of Agriculture (USDA) does not currently test food and drink for the presence of glyphosate. This is just irresponsible. Tell the USDA to test for glyphosate. That makes exposure hard to avoid. In light of its probable health risks, the use of Roundup should be banned unless and until it is proven safe. But meanwhile, we can at least test for this dangerous chemical in the products that we eat and drink. Add your name today. We simply shouldn’t have to worry that the things we eat and drink are exposing us to probable carcinogens. 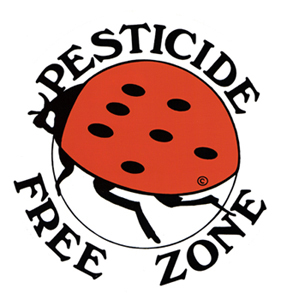 The USDA already tests for other kinds of pesticides in produce. Tell the USDA: Test for glyphosate on food and drink to protect consumers. 1. Kara Cook, “Glyphosate Pesticide in Beer and Wine,” U.S. PIRG Education Fund, February 2019. 2. Charles Benbrook, “Trends in glyphosate herbicide use in the United States and globally,” Environmental Sciences Europe, February 2, 2016. 3. “IARC Monograph on Glyphosate,” International Agency for Research on Cancer / World Health Organization, January 3, 2016. 4. Kara Cook, “Glyphosate Pesticide in Beer and Wine,” U.S. PIRG Education Fund, February 2019. 5. S. Thongpraikasong et al., “Glyphosate induces human breast cancer cells growth via estrogen receptors,” Food and Chemical Toxicology, September 2013. 6. Harriett S. Stubbs, “Parts per Million, Billion, Trillion,” Science Activities, July 30, 2010. 7. “Weed-killing chemical linked to cancer found in some children’s breakfast foods,” CBS News, August 15, 2018. 8. Stephanie Strom, “Traces of Controversial Herbicide Are Found in Ben & Jerry’s Ice Cream,” The New York Times, July 25, 2017. “Composting in your Backyard.” Talk by Prof. Denise Polk, West Chester University, a Borough resident and member of Borough Council who has a huge garden and keeps bees. She is also an expert in composting and has been involved with organizing composting along with the Borough on the campus of WC University. At the Ironworks Church, 312 W Union St, West Chester, PA 19382, USA = SW corner of W. Union and S. New Streets, West Chester. The sponsors are South West Association of Neighbors (SWAN), Don’t Spray Me! and the West Chester Area Green Team. Why is this important? 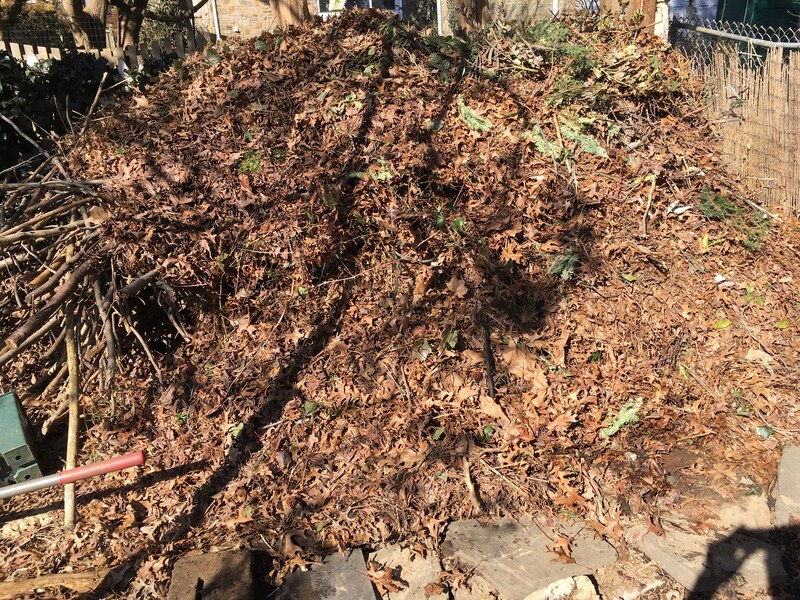 Composting enriches our garden soil and keeps nutrient-rich organic materials on our own property rather than, in the worst-case scenario, in the landfill.